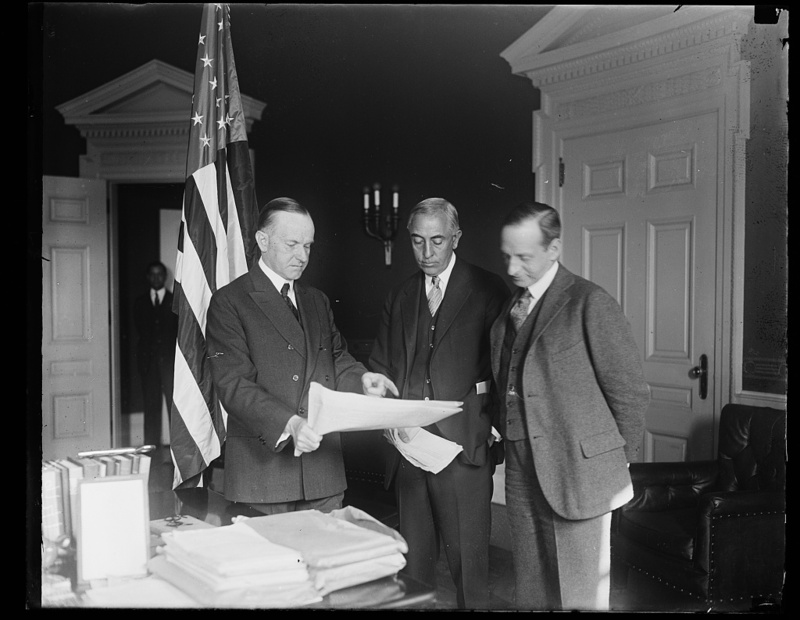 President Coolidge reviewing official papers circa 1924 with C. Bascom Slemp, his official secretary, and “Ted” Clark, his personal secretary since coming to Washington in 1921. Notice the large packets of documents on the desk awaiting the President’s attention. Those closest to Coolidge knew him to be a thorough and completely competent executive. He could indeed “swing” the job of President. Courtesy of the Library of Congress. 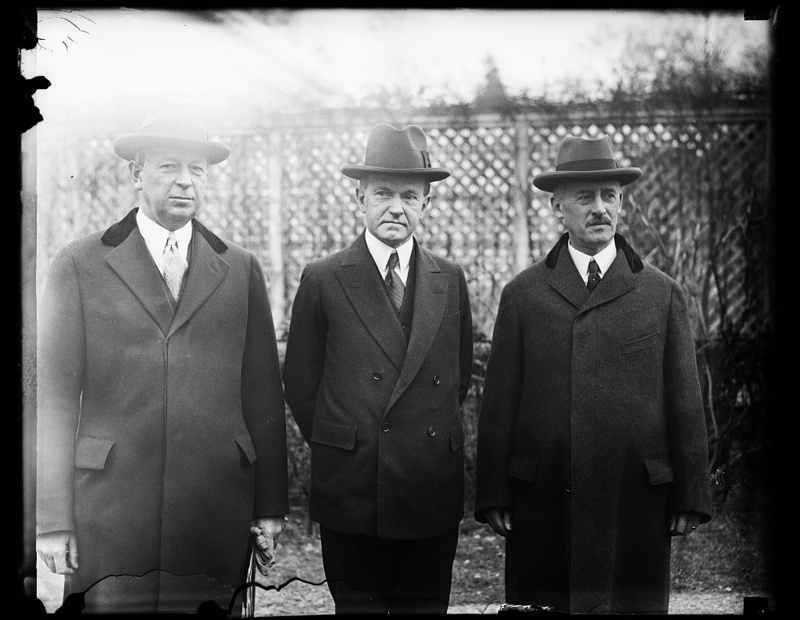 President Coolidge on the White House grounds with his Secretary of War, Dwight F. Davis, and his representative to Nicaragua and then the Philippines, Henry L. Stimson, circa early 1928. Courtesy of the Library of Congress. 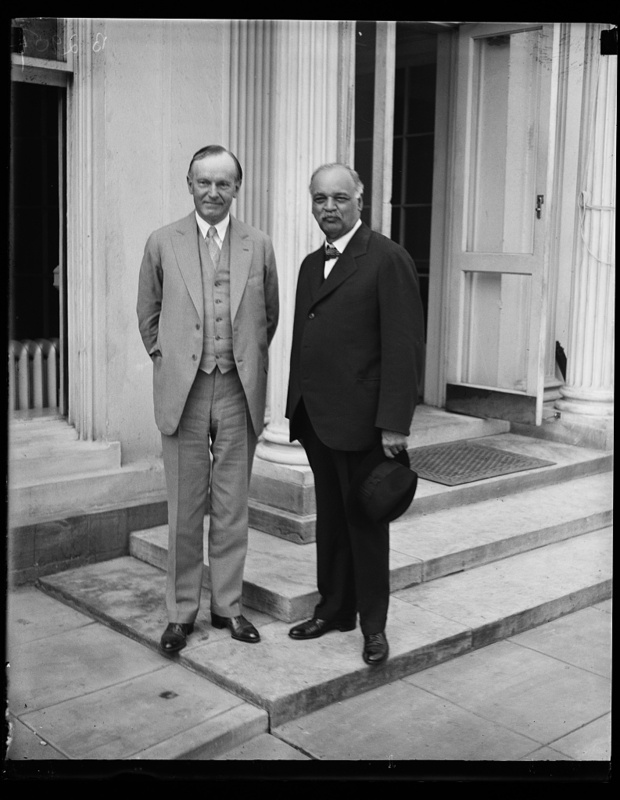 President Coolidge conferring with friend and Senate Majority Leader, Charles Curtis of Kansas, 1928. Curtis was also a Kaw Indian, who would rise to the office of Vice President of the United States in 1929. Courtesy of the Library of Congress. Looking forward to the World Series? Take a look at this great shot from 1925. 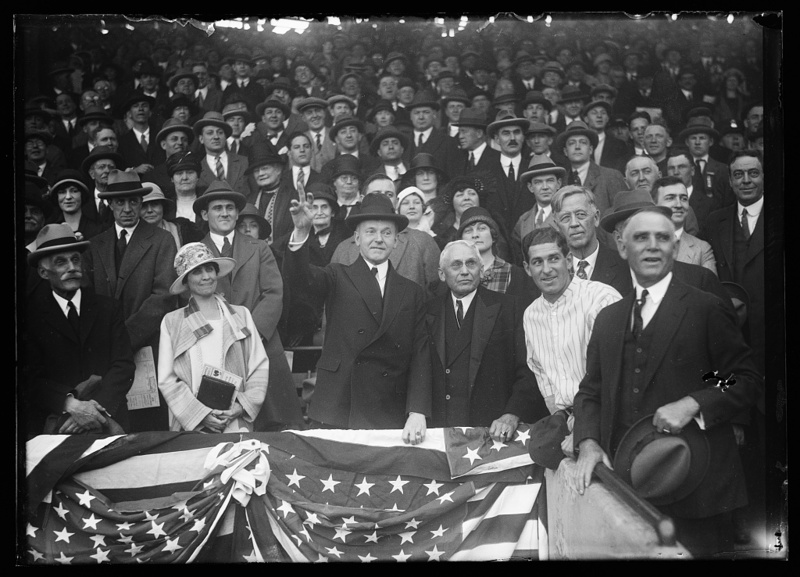 As everyone watches with rapt attention, Coolidge throws out the first pitch for the old Washington Senators at Griffith Stadium. Courtesy of the Library of Congress. Go Royals!